I am participating in The Pocket Source's first ever Blog Hop! You should be arriving from Shaina's blog at www.shadylaneblog.com and your next stop on the hop is the Awesome Amy over at Little Lamm & Co. Keep clicking through all the posts and tell me you aren't inspired to get those photos off your phone and in to albums! Week Eight is done WITHIN week eight. This is some kind of record. I am trying to be good at keeping up since we will be going to Disneyland this week and I'm sure I will fall behind rather quickly with that. This week I had the great pleasure to work with Colie Kumar's upcoming March Take Ten Monthly Kit, a monthly subscription with all kinds of scrappy goodness for just $10. There is a wait list for the March and April kits, but sign up now for future kits as cancellations will most likely happen. Meaning you may have a chance to snag this awesome kit for yourself! This kit worked perfectly with all my photos this week. I'm surprised to see pink making such a strong presence again (like last week). It also just so happens to work beautifully with my new Project Life Strawberry Edition core kit that just arrived directly from Becky Higgins herself and her newly launched (yet unpublicized) online store. Loving this preppy looking kit and all of its fun bright colors and phrases. The Take Ten Monthly Kit includes 3x4 and 4x6 cards, enamel dots, sweet pink alpha stickers and a great Amy Tangerine stamp set. So much to love! On Sunday we went to see The Lego Movie. And dang it if that "Everything is Awesome" song hasn't been completely stuck in my head ever since. And my daughter's. And my husband's. So to commemorate this (sarcasm alert) sure-to-be greatest hit of 2014 I made a 4X6 card that coordinates beautifully with the Take Ten Monthly Kit and the Strawberry Edition core kit. To download the file for yourself, just click the image below. It also make an AWESOME desktop picture. Don't forget to keep clicking through the blog hop for more awesome inspiration. Amy from Little Lamm & Co is next up! Great, now that song is stuck in my head, again! :P Great pages. Gorgeous pages! Thanks for the freebie, it's perfect for commemorating the movie! Thanks for the compliment! And you're welcome. Feel free to link up your finished page! Beautiful pages! Thanks so much for the freebie, it'll go perfect with my Take Ten kit! This is soooo fun!!! I LOVE the bright colors! Thanks for the freebie! All the colors! So fun! That Take Ten kit looks like its going to be an up and comer! Thanks for the freebie! i love all the color and patterns!! Love how vibrant the page is, and congrats for staying on top of things! I absolutely love all the bright and fun colors in your layouts! Thanks for the awesome freebie too! 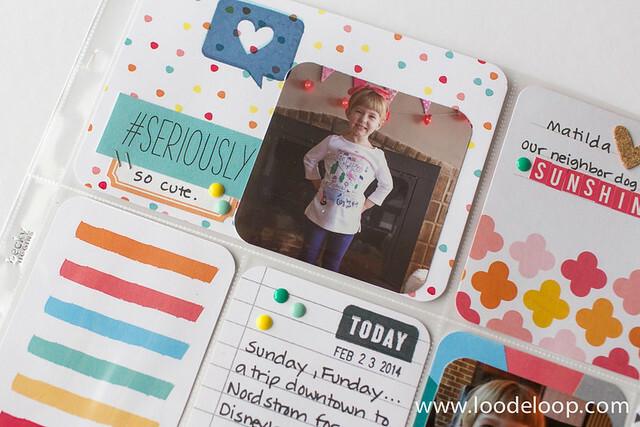 Melissa - your layouts just make me gush with a smile I love the fun colors! So awesome to be on the same team as you! Love how you included the movie ticket stubs! Your pages are wonderful. Where is your date card from? I love it. 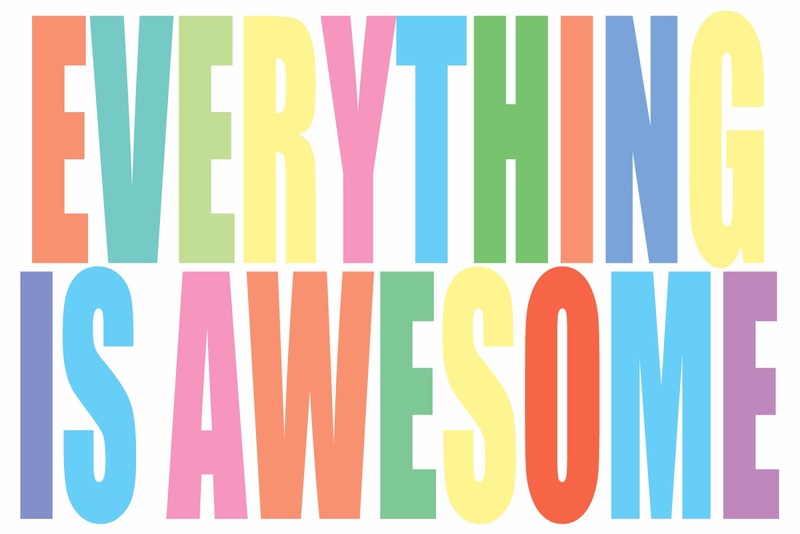 Thanks for the Everything is Awesome card. My doctor was singing it with my boys last week during a prenatal appointment and this will be perfect for documenting that morning.